During a program in Delhi on 30th December 2016, Prime Minister Narendra Modi launched a new mobile app named BHIM. BHIM App’s full form is Bharat Interface for Money. It has been developed by the National Payment Corporation of India. This allows you to take advantage of all the facilities offered by banks in the UPI. UPI stands for Unified Payment Interface, with its help you can make money transactions between any two banks through Smart Phone. It allows you to pay money to different people from your bank account and it is also hassle free to online and offline, without credit card, without IFSC code or net banking etc., and without hassle of password. There are many Hindi Blogs like कैसेकरे.भारत has also described about Bhim app in Details. 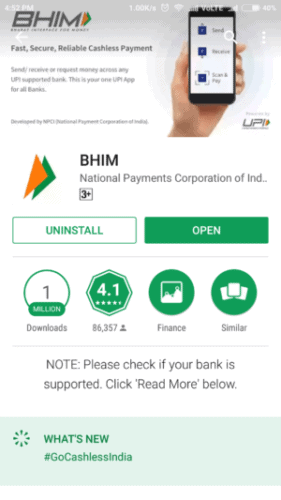 How to use BHIM App? How to send and Receive Money ? Step-by-step guide is given below to use this app. Hindi Guide also available like How to use Bhim app in Hindi. 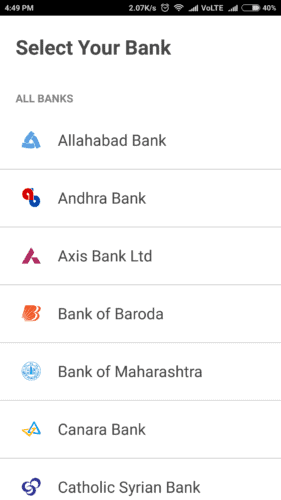 Android users can install this App by searching BHIM in Play Store as shown in the screenshot below. Open this app and choose your language. If you want you can choose English or Hindi and many other Indian Languages. This app will verify your phone number via SMS. Click on the Next button, wait until the verification process is complete. Once your verification process is complete, then you have to choose the code next to your four letters. Once you have the code set up, then this app will ask you about your bank, which is your bank. Then this app will use your mobile number to collect all the information you need. Then select your primary bank account so that you would like to make all the transactions. When you reach the home screen of this app, there are three options: Send, Pay, Scan / pay. Transactions are only possible between verified phone numbers. In the same way, you can use this app to send request to somebody’s phone number and request money from them. The third option is to scan and pay as you would have used PayTm. You can send money easily by scanning any QR code. Each account will have a different QR Code, which basically will be the mobile number of that account. If you know about this app or are already using it, then today I am going to tell you something so that you can earn money from this app. I am going to tell you about the BHIM App’s referral program in this post today. By the way, the BHIM App’s Google Playstore has already done a lot of downloads, but still a step has been taken to introduce this referral program to reach more people. Under this scheme, you will be given a cashback of ₹ 10 if you introduce each new person to BHIM app. The Prime Minister also informed, that if you refer 20 people in one day, then you will earn ₹ 200. While giving this information to the referral program, Prime Minister Narendra Modi quote while quoting: “Just teach other people to use the BHIM App, India will receive cashback and referral bonus. You can use this link to download bhim app. How to get a Referral Bonus? “Referral Bonus Scheme” for individuals, is valid only when you will bring more people to the platform of BHIM App and ask them to conduct transactions with BHIM App. Bonus BHIM App will be given to both users, existing and new user. Referral will be successful only if the new user is using the BHIM App to do at least 3 financial transactions. After three successful unique transactions, each of the transactions should be at least ₹ 50, both existing and new user will be notified of the BHIM App’s notification about the bonus amount. Existing user will get ₹ 10 when referring to this app while the new user will get ₹ 25 for downloading and trading this app. Under this scheme, users can earn more than ₹300 in a month. “Invite & Earn Rs. 100 Cash” click on the Banner. Get your referral code from there and share it with anyone. 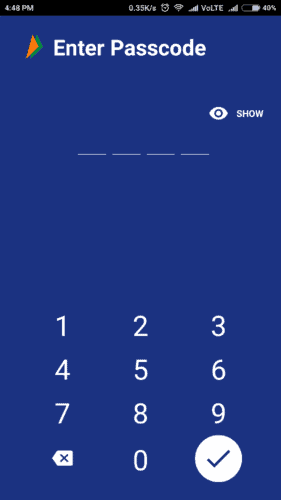 If all you want to ask anything about this Bhim app, How to use bhim app and how to send money by bhim app and how to earn money from bhim app. Then ask me question in below comments. Thanks.